It's officially baseball season! Our favorite time of year! With yesterday being opening day for the MLB, we wanted to share with you an organization that is one of our favorites and something the kids absolutely love to get involved with. 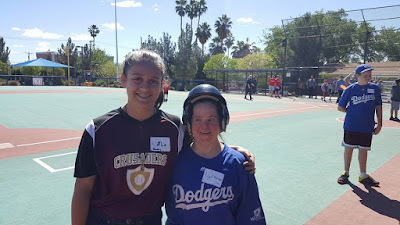 The Miracle League of Las Vegas, who provides an opportunity for children and adults with cognitive and/or physical challenges to play baseball. Their season is also underway and our kids volunteered for the first time this past weekend and cannot wait to go back this weekend. 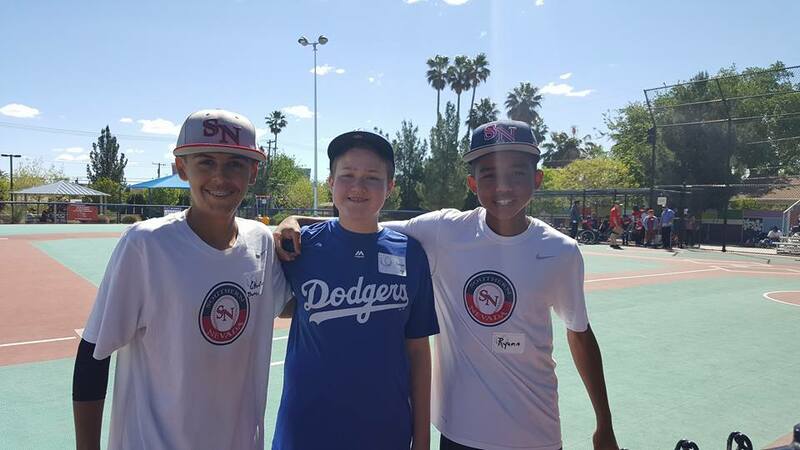 Both of our kids play ball and enjoy staying active, so this made the perfect opportunity to have fun and give others the same joy. 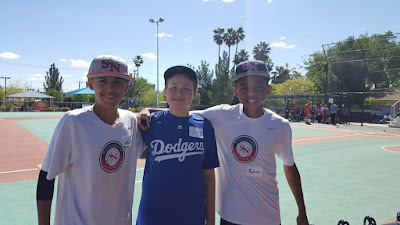 That's our son on the left with one of his teammates on the right and their "buddy" they were paired with for the game. I haven't seen my son so happy to take a picture in a long time! He really enjoyed it! Below is our daughter with her "buddy" all smiles! They are always in need of volunteers and it's super simple to join in on the fun! 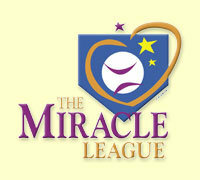 All you do is visit their website at miracleleaguelasvegas.com and sign up to be a volunteer. You get to pick the dates and times. Once you sign up there is no commitment, you can always jump in there and fill a slot when ever you want. They also have two big fundraisers coming up - The Home Run Derby on April 29th and their 2nd Annual Top Golf Fundraiser May 17th. The Miracle League Las Vegas really does offer happiness, fun and socialization for all!